At Tulle Bridal you'll find handpicked bohemian flair, simple, comfortable, unique designers that come across as relaxed sophistication. You will feel beautiful, glowing and confident. Exclusive designers to personalize every detail. We handpick every gown that will be memorable to fall in love. 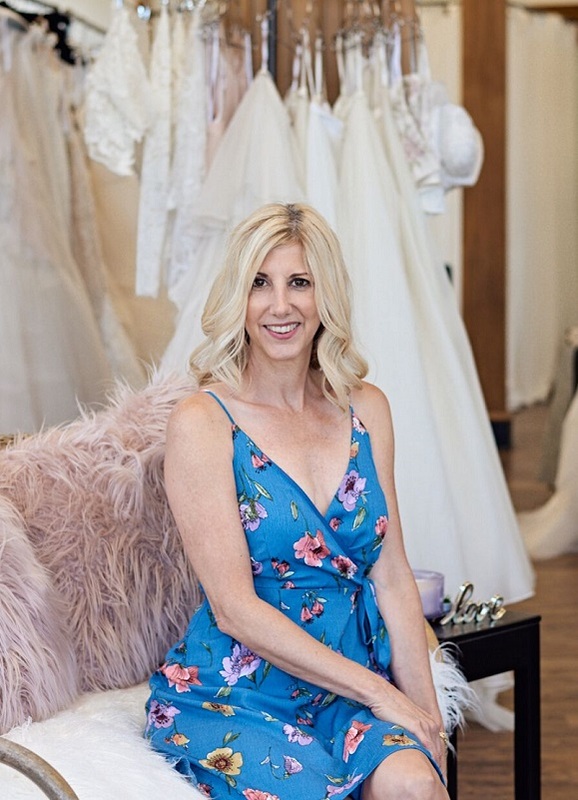 Heidi Janson is the founder and inspiration behind Tulle Bridal & Brides Across America (BAA), a 501(c)(3) charitable organization she founded in 2008 to give back to military & first responder brides. To date BAA has gifted over 20,000 wedding dresses and more than 20 weddings. "Love is patient, Love is kind. It always protects, always trusts, always hopes, always perseveres." When you walk into Tulle’s sanctuary, I want you feel at home and breathe. Weddings can be stressful and it is our job to help you destress in the process of selecting the most important dress of your dreams. Why did I name the boutique Tulle? Pronounced Toule. The meaning of Tulle: purity, softness, illusion and non-conforming. I was never one of those kids that fit in and had a great imagination. I wasn’t an athlete, but, loved art and fashion, nature and animals. My philosophy in life and business is to be compassionate to the needs of others and I teach my staff that as well. It is important to me to be authentic, strong and inspiring. I am passionate about what I do and I love helping people. My passion for the wedding industry came from my mother. She taught me everything I know and she is truly my inspiration. She taught me to have integrity and to give the highest level of customer service. I graduated as a marketing major with a minor in design. I would say my work at Vera Wang Salon in Boston was my dream come true and became the stepping stone for me with luxury bridal gowns. I love simplicity, fresh, timeless looks with a bit of bohemian mixed in. I love to blend the old with the new to bring a look together. My recommendation for a bride to be is be yourself and be true to yourself! There are many influences in your life, however, this should be the one day that all time stops at the moment you marry the person of your dreams. Bring only your guests that know your style and matter the most when selecting your wedding gown. This is an intimate moment to share with your favorite people. Don’t be nervous, be yourself and be open to trying styles on that you might not think you will like. 90% of the time our brides fall in love with something they didn’t expect. Think about your vision and how you see yourself on your wedding day. This is one of the most memorable times in your life and we want to find the perfect gown that you will fall in love with! We hope we exceed your expectations. Please don’t hesitate to reach out to me you have any comments or concerns.